Over the last few weeks, a wave of reality has hit Leeds United. After the unrelenting promise of pre-season, with the change in ownership and management structure, significant investment in the playing squad and a fast start to the Championship campaign, results have dropped off. Four defeats from five league games leaves the team sitting fifth in the table. While that position remains positive in the grand scheme, the seven-point gap between them and leaders Sheffield United is substantial. This is only underlined when considering the fact the same number of points separates Thomas Christiansen’s side from Hull City in 17th place. 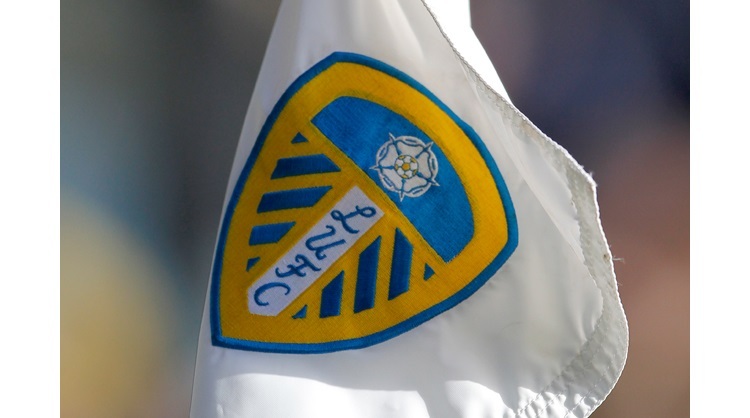 One of the issues to arise amid the recent decline in form is the structure of Leeds’ midfield. Having kept six clean sheets in their opening seven, they have conceded at least once in six of their seven league fixtures since. In the same time, their goals scored per game has also dropped from two to just above one. The way they line up in the centre is seen as one of the main reasons behind this. Christiansen has brought in a change of style since succeeding Garry Monk in the dugout, introducing a greater array of attacking midfield talent to the line-up. However, he has stuck with the basic 4-2-3-1 shape seen last season. With the combative Liam Bridcutt moving on and Ronaldo Vieira struggling with injury, Leeds’ two-man central midfield had a completely new look. Eunan O'Kane was entrusted with the playmaking role, supporting build-up from the back, while Kalvin Phillips was charged with taking up a slightly higher position. The duo did appear overrun in certain games, so Christiansen decided to tweak the personnel slightly. Phillips was pushed further forward to play as a ball-winning No.10, while Vieira was reintroduced alongside O’Kane. But, as seen in the recent defeat to the Blades, this posed more problems than it offered solutions. The structure remained the same, and too often the gap between the central two and Phillips led to attacks breaking down. There was a lack of real connection until Samu Saiz returned to the No.10 role in the second half, while defensively Leeds were out-hustled. Christiansen should consider moving away from the 4-2-3-1 shape. This may not be easy considering he used a similar setup with APOEL Nicosia, but it seems necessary in order to stabilise the team. By switching to a classic three-man midfield, he can at least prevent his side from being numerically overloaded. Mateusz Klich was one of the first new arrivals at Leeds in the summer, but he has yet to establish himself within the side. This is unusual considering he was brought in as a readymade starter, a 27-year-old who had enjoyed a strong season with Twente at the top level of Dutch football. The Pole looked assured in the recent League Cup defeat to Leicester City and, having impressed against top league opposition, looks to have the qualities necessary to boost the Whites' midfield. Should Christiansen switch to a three-man central midfield, Klich would help in all phases. He has shown technical proficiency, ball control and a good passing range to improve the team’s possession, while he also has the aggression to support the press. In a trident, he could act as either the lone deep-lying playmaker, as one member of a double pivot, or as a box-to-box option. Wherever he starts, he deserves a chance. Considering his qualities and Leeds’ issues in this area, his one league start to date is bizarre. Just as the current midfield structure is causing problems for Leeds defensively, it seems to be affecting the effectiveness of their possession game. One of the primary factors in this has been the movement of Saíz to a wide role. The Spaniard started on the left in the defeat to Sheffield United. He was isolated and struggled to influence the game in any way, while the team failed to break through frequently enough to trouble their visitors. But, when the creator was brought inside to a more central attacking role, all of this changed. The 26-year-old went on to cause serious difficulties for the away defence, dribbling past markers and through pressure, constantly tantalising with his skill and ambition on the ball. All in all he completed 3 dribbles and made 3 key passes – no team-mate bettered him in either category. While moving to a three-man central midfield is a must for Christiansen to try and halt Leeds’ poor form and shore up their defence, keeping Saíz in a central role is equally key to their offensive play. Thus, a diamond midfield should be considered; alternately, the Spanish No.10 could perhaps be used as a false nine.